Fingerprint access control and time-attendance system is the smart solution for total security. Having the ability to truly protect digital information and physical property by removing old obstacles can help any enterprise have the security they need. There are many reasons behind using fingerprint access control system for maintaining and monitoring your company’s flow of visitors and employees. When you consider how “unsafe” other safety measures really are, it becomes clearer why this biometric protection is necessary. Using a biometric fingerprint access control system can help identify unauthorized users through advanced features such as Man Trap and Smart Card based Identification. It is a known fact that a fingerprint is unique to every individual. Hence, this eliminates the prospect of unauthorized entry. Fingerprints are easy to scan for the employees and are a sure-fire when it comes to absolutely accurate identification. With each of the above, there are clear dangers of a security breach, in some cases with very little effort. A physical lock can be reached either by an outright break-in (breaking of the lock) or by someone taking the key or even an employee lending out a key. Codes that have to be punched into a lock are not secure either. Unauthorized users can be crafty when it comes to detecting codes. Of course, that craftiness is always extended to figuring out passwords and breaching security that way. An unforgivable number of people write passwords down and then actually lose the list of passwords. It is an invitation to disaster. 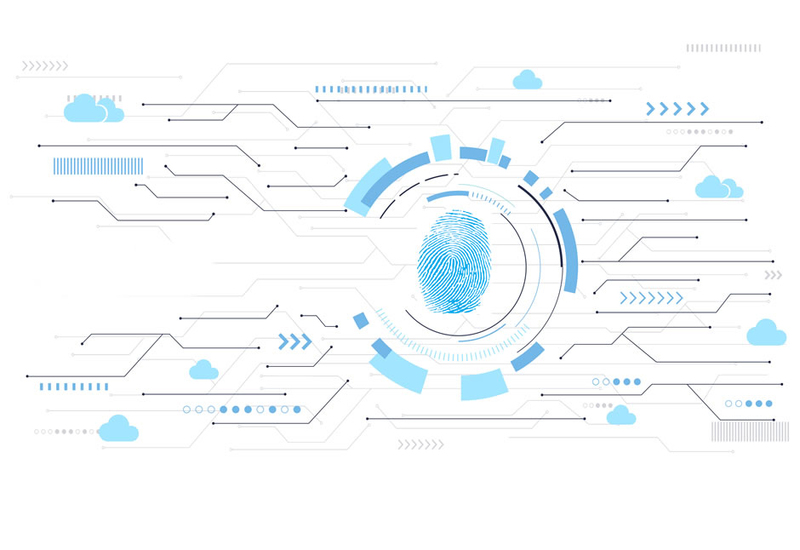 In order to avoid such vulnerable threats from hampering security, flexible fingerprint access control software needs to be chosen which allows controlling access on three dimensions simultaneously – user, zone and time. Likewise, choosing a right biometric door access control system provides authentic security to organizations’ infrastructure and employees. Access cards are also frequently used, however, access cards can be counterfeit or they can be lost, stolen and shared. Fingerprint access system means that there is no more “It was not me”. It is an easy way to ensure access is only allotted to those that have clearance for access. It will provide a tremendous reduction in risk of unlawful entry, stolen information or misusing system. Moreover, with the technologically advanced and accurate biometric fingerprint attendance system, businesses of all kinds can leverage of benefits versatility, accuracy, efficiency, speed, and cost-effectiveness. The sophisticated data capturing methods will help modern enterprises to have automated, foolproof attendance.